Second Mortgage Loan for small businesses who own commercial or residential investment real estate. 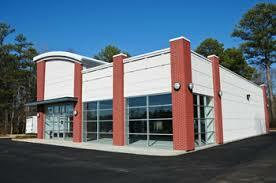 This is a short term, full documentation business loan with real estate as collateral. The loan amount is based on the cash flow from your business. Even though the program is titled second mortgage we can use any hard asset as collateral such as equipment or inventory. Therefore, Small Businesses who rent may also qualify for significant savings over short term cash advance and revenue based business loan products. Lower interest rates: Rates as low as 6% for borrowers with great credit and lower loan to values of the collateral. Rates can go as high as 24% but these are much lower than Merchant Cash Advance and other revenue based loan products. Longer Terms: Terms from 12 to 60 months are much lower than the Merchant Cash Advance and other revenue based loan products. Lower Payments: This really goes without saying. Lower interest rates for longer terms equal lower payments and greater cash flow and net profit. Higher Loan Amounts: With cash advance products you are generally limited to 10% of your average gross revenues. This means a company that grosses $480,000 annually may only qualify for a $40,000 to $50,000 cash advance. Under the Second Mortgage Loan for Small Businesses you may qualify for 5 times the funding or more depending on your net income. Monthly Payments: As with all mortgage programs the payments are monthly, not daily or weekly which is common practice in the revenue based lending and cash advanced programs. MCA / RBA Comparison: Considering the short term merchant cash advances and related programs we offer lower interest rates, longer terms and higher loan amounts with repayments on a monthly basis. Considering these factors a business can borrow more money for a lower payment to meet the business growth goals. If you are a small business who is trapped on the Merchant Cash Advance or Revenue Based Loan merry-go-round where your cash flow and profits are being sucked away by these outrageous payments. If you can not grow your business because of lack reasonable funding then this is the program to help you grow your business.